Announcing THE TEA PARTY to tour Australia for the first time in intimate venues! Canadian iconic rockers THE TEA PARTY are heading back to Australia and bringing their genre-defying career to selected intimate venues across Australia this June. 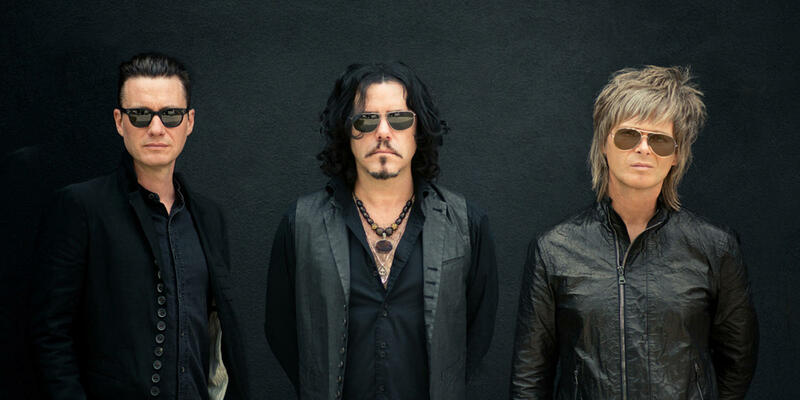 The one constant at a THE TEA PARTY show is how deeply Jeff Martin, Jeff Burrows and Stuart Chatwood connect with their audience, you really feel; not just hear them during their performances. Complex and provocative THE TEA PARTY will be showcasing a treasure trove of songs from across their incredible catalogue and for the first time ever fans will get to witness this in intimate settings across cities and regional areas. This is a once in a lifetime opportunity to get up close and personal with THE TEA PARTY and tickets go on sale Thursday 28 March, 9am. Have your members card ready! - this is a registered club and you must either sign in or show your Wests membership at the reception desk - For more information on membership please visit www.westsnewcastle.com.au No food is to be brought into the premise Parking is available on-site with 140 spaces including disabled parking. We have two car parks located on site. The King Street underground car park is located underneath our Wests City Club entrance is via King Street. Flat fee of $3.00 per hour. The Bull Street hangar parking is located to the side of Wests City, entrance is via Bull Street. Daily fee of $2.00 per hour. All cash payments are to be made at the machine inside Wests City in the foyer. Credit card payments can be made at the exit gates. Mon to Sat rates apply. Prohibited Items The following items may not be brought into the building. In addition to items listed here, other items that may be deemed to present a potential hindrance or threat may also be prohibited. View all career opportunities across the Wests group including NEX.